The education Research Center at the Massachusetts Institute of Technology (formerly the Science Teaching Center) was established to study the process of instruction, aids thereto, and the learning process itself, with special reference to science teaching at the university level. Generous support from the National Science Foundation and from the Kettering, Shell, Victoria, W. T. Grant, and Bing Foundations provided the means for assembling and maintaining an experienced staff to cooperate with members of the Institute's Physics Department in the examination, improvement, and development of physics curriculum materials for students planning a career in the sciences. After careful analysis of objectives and the problems involved, preliminary versions of textbooks were prepared, tested through classroom use at M.I.T. and other institutions, re-evaluated, rewritten, and tried again. Only then were the final manuscripts undertaken. In general the books in the series will be brief. Most may be covered in a single term or less. Each will be available in either cloth or paper binding. 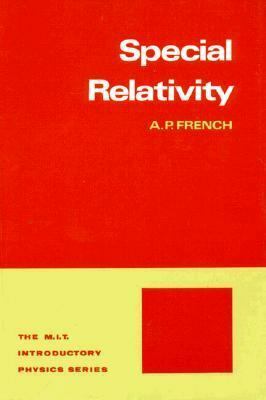 Their brevity and structure (as well as their reasonable price) will make it possible for teachers to select topics and organize courses according to individual needs and preferences.French, Anthony P. is the author of 'Special Relativity', published 1968 under ISBN 9780393097931 and ISBN 0393097935. Loading marketplace prices 27 copies from $4.55 How does the rental process work?